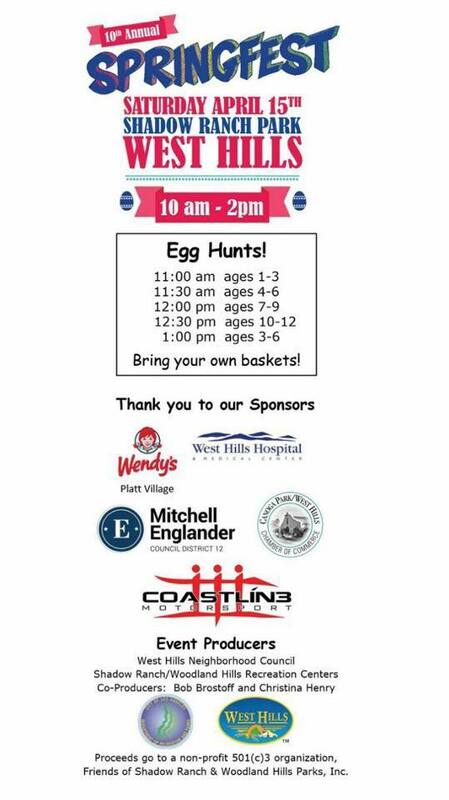 West Hills is getting ready for its biggest celebration of the year, the 10th annual West Hills Spring Festival (formerly known as the Eggstravaganza Health & Safety Fair) on Saturday, April 15, 10 a.m.- 2 p.m. at Shadow Ranch Park, 22633 Vanowen St. This year’s event will have new features in addition to the catchier name, including a car and motorcycle show and an expanded variety of food trucks, while returning visitors will continue to enjoy egg hunts for kids, safety and health exhibits, local vendors, Yogi Bear’s Shakey Quakey Schoolhouse and entertainment throughout the day. 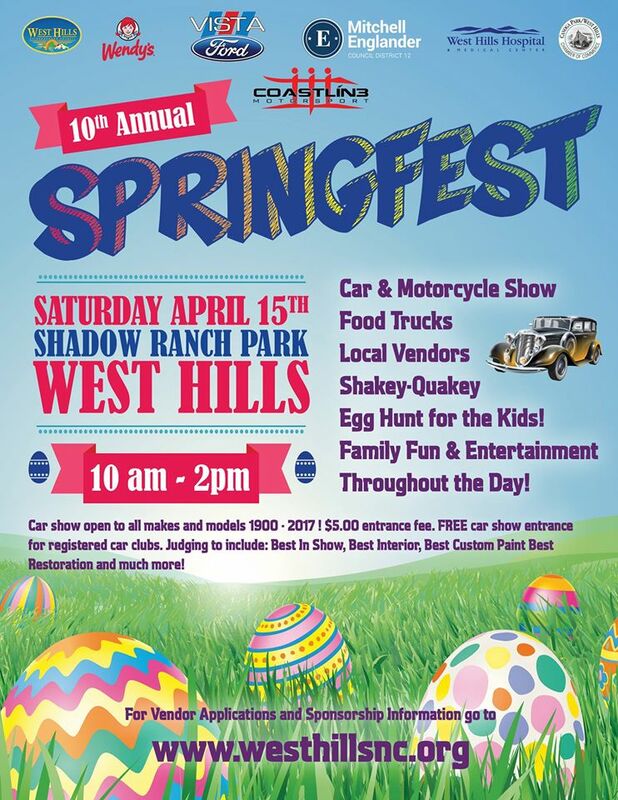 The West Hills Spring Festival is a collaborative project of the West Hills Neighborhood Council, the City of Los Angeles Department of Recreation and Parks and Shadow Ranch Recreation Center. Exhibitors from around the West Valley always look forward to this annual opportunity to meet potential customers. This year, we anticipate an even greater turnout as we invite exhibitors of all kinds to participate. If you have any questions, contact Simone Best at [email protected] or call (818) 887-0434. Click Here for information on how to be a participant in our car and motorcycle show. Click Here to see pictures of past events.